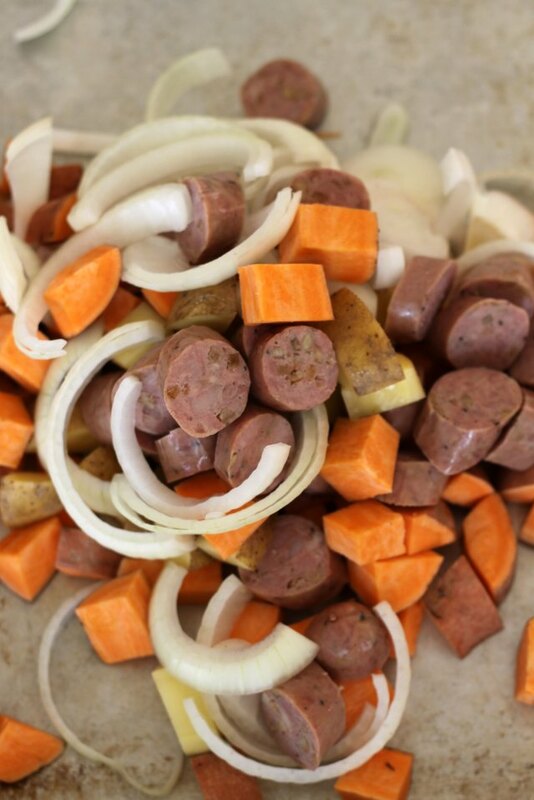 There's nothing simpler for dinner than cutting up a few veggies with some sausage--and this flavor combination can't be beat. 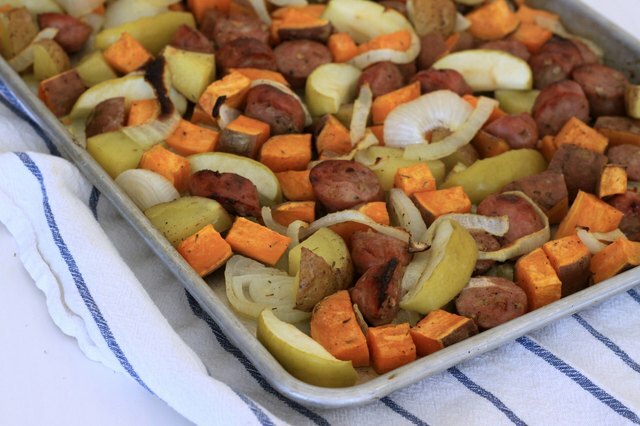 Roast everything together on a single sheet pan where the juices mix and mingle for the perfect blend of sweet and savory in every bite. 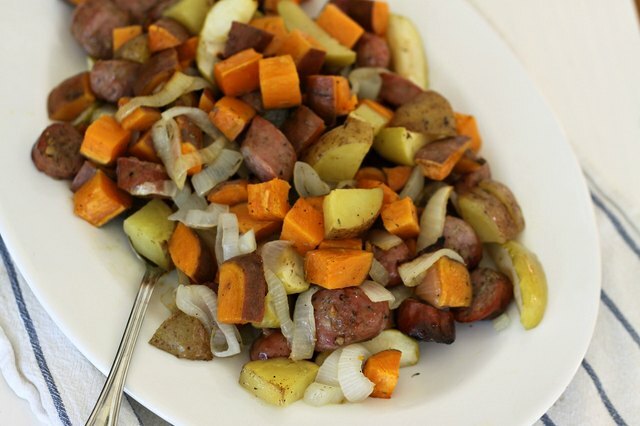 Dice both potatoes and slice your onions, sausage and apples. 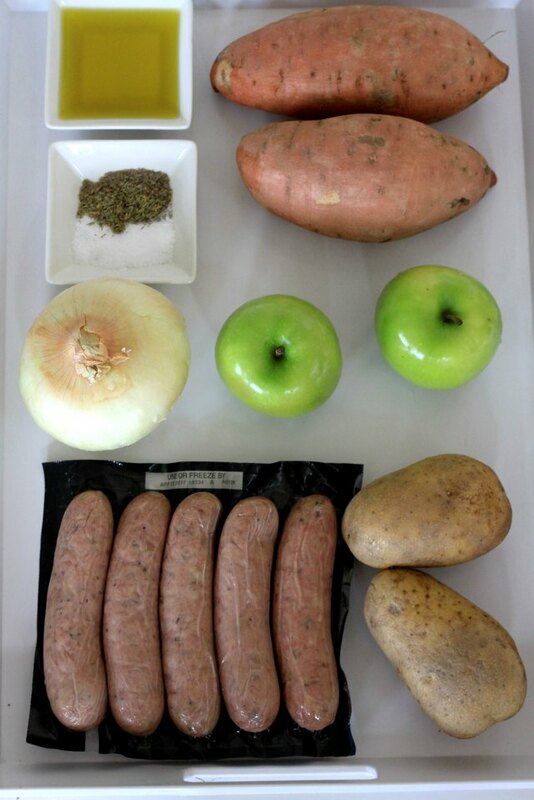 Use pre-cooked sausage, so there's no worry about food contamination on the cutting board. Reserve the apples but make a mound on a baking sheet with the rest of your ingredients. Then drizzle the olive oil. Sprinkle your salt and pepper and use your hands to mix until every bite is coated. 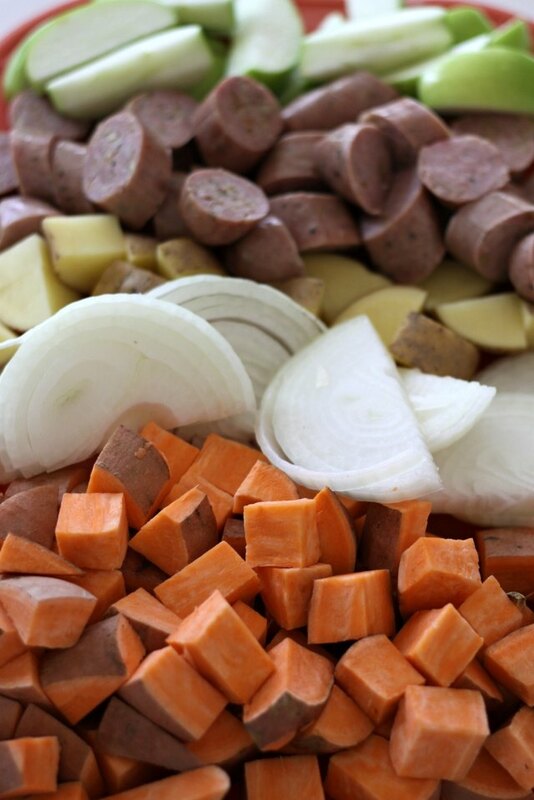 Flatten out the ingredients, covering the entire space on your pan. Aim for a single layer but a little overlapping isn't a problem. Cook for 15 minutes, then remove from the oven. Use a spatula to flip the ingredients and add the apples. Cook for another 20 minutes. During the first 15 minutes while the tray is roasting, add a little olive oil to your apple wedges. This will help keep them moist in the oven. 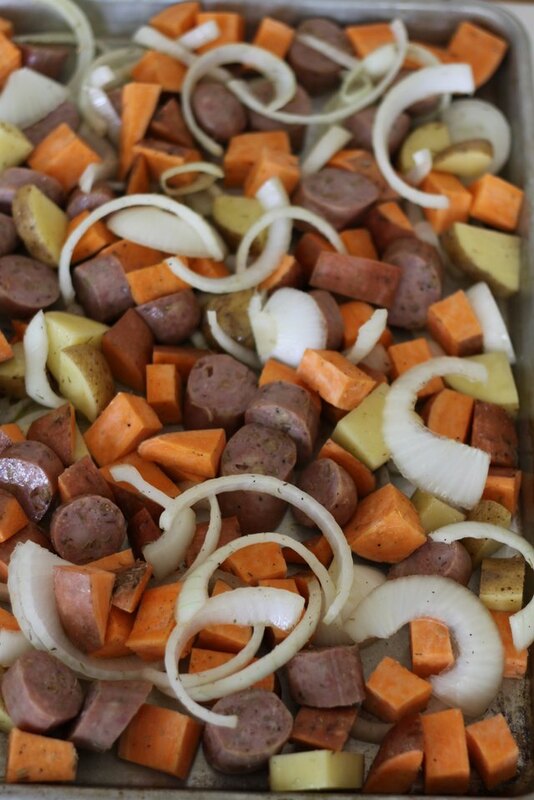 Serve immediately or cover with foil if you prefer to keep the sheet pan warm for later. 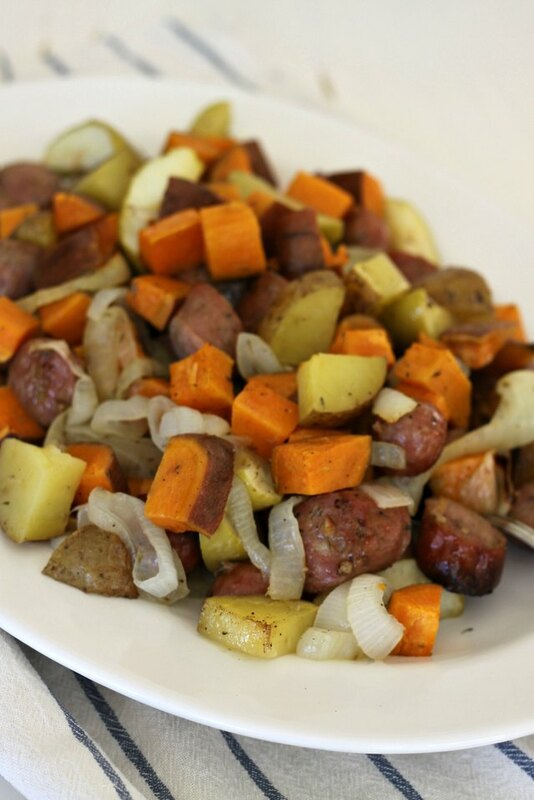 This dish is a great make-ahead option and travels well for potlucks.